It was about five years ago that the Campaign for Safe Cosmetics found lead in nearly two-thirds of the 33 brands of lipstick they tested, at levels up to 0.65 parts per million (ppm). Now, according to a recent FDA analysis, 400 shades of popular brands of lipstick contain trace amounts of lead—with the highest levels coming in at 7.19 ppm. What's going on? Are the amounts found in these studies low enough to be safe, or should we be concerned? In the Campaign for Safe Cosmetics report, one-third of the samples studied contained levels of lead that exceeded the FDA's limit for lead in candy (0.1 ppm). The FDA says, however, that you can't really compare candy to lipstick, since you actually eat candy, but supposedly consume only trace amounts of lipstick. Is this true, that we only consume a tiny bit? I didn't find any well-controlled studies on the topic (something I hope the FDA will remedy), but according to an article in Glamour magazine, women inadvertently eat about 4 pounds of lipstick in a lifetime. I'm sure a lot of it depends on how often you wear lipstick and how often you re-apply it. The real question is—how much lead is too much? So far, the FDA has set no upper limit on the amount of lead in cosmetics. The Campaign for Safe Cosmetics and the Personal Care Products Council are both encouraging them to do so. The Personal Care Products Council suggests 10 ppm, which is higher than the levels found by the recent FDA analysis, but is in line with proposals in Canada and Germany. It's true that the amounts found in the FDA study are extremely small. The problem is that lead can build up in the body over time, and is particularly dangerous for pregnant women and small children. It is a proven neurotoxin that can cause learning, language and behavioral problems. Pregnant women are particularly susceptible as lead can cross the placenta and enter the fetal brain. Why is Lead Showing Up in Lipsticks in the First Place? It's not like manufacturers purposely add lead to their products. What happens is that trace amounts can be found in color additives that are mineral based. Lead is found naturally in the soil, water, and air around us, so some of it can find its way into the raw ingredients used in color products. This is also why you won't find “lead” listed on the ingredient deck. 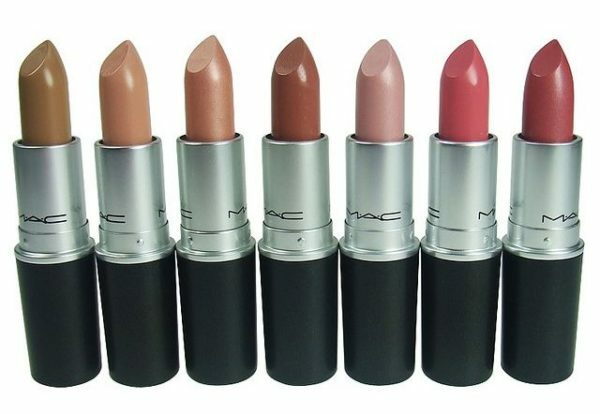 Go to the FDA's site and find out—does your favorite brand of lipstick contain lead? (Remember there may be some brands that weren’t tested.) If so, you may want to consider changing brands. Read the Campaign for Safe Cosmetics report here—they list the brands of lipstick studied in 2007 that contained no detectable levels of lead. If you're a pregnant mother, be especially vigilant about the products you use on your mouth, as they could end up inside you, where they could affect the health of your baby. Think twice before allowing your young child to use lipstick. Remember smaller bodies are much more susceptible to toxic chemicals. Choose to buy from companies who are more conscientious about the ingredients they use—this is really the best way to avoid dangerous by-products like lead. And be careful, as even Burt's Bees Lip Shimmer is on the FDA's list of products containing lead. Some examples of brands that have lead-free lipsticks and glosses: David Scott Cosmetics, Aromaleigh, Zuzu Luxe, and Gabriel Cosmetics. The Campaign for Safe Cosmetics, “A Poison Kiss: The Problem of Lead in Lipstick,” October 11, 2007. http://www.safecosmetics.org/article.php?id=327. The Food and Drug Administration. “Lipstick and Lead: Questions and Answers.” http://www.fda.gov/Cosmetics/ProductandIngredientSafety/ProductInformation/ucm137224.htm#expanalyses. The Campaign for Safe Cosmetics, “Lead in Lipstick FAQs,” http://www.safecosmetics.org/article.php?id=283. Photo courtesy BeFlurt via Flickr.com.